Language Proficiency: Native speaker, or: Language degree or C2 certificate plus a natural command of the language. Language Awareness: Provide clear explanations. Teach usage and register at all levels. Understand what is confusing learners. Give comprehensive, accurate answers to queries. Language Teacher Qualifications: Masters degree or module in language teaching or applied linguistics, or: Postgraduate or professional diploma in teaching the language (min. 200 hours). Language Teaching Practice: A minimum of 18 hours of documented, assessed teaching practice. Has been observed & had feedback on at least 12 hours of teaching. Teaching Experience: A minimum of 4,000 hours, documented teaching experience. Taught all levels successfully, general, exam and specialised. Methodology: knowledge and skills: Detailed knowledge of theories of language and learning. Select an optimum combination of techniques to suit each type of learner and learning situation & provide clear theoretical rationale for decisions. Lesson and Course Planning: Plan an entire course with recycling and revision. Create or select appropriate activities for balanced learning modules with communicative and linguistic content. Design multi-level tasks to meet individual needs and lesson objectives. Interaction Management and Monitoring: Facilitate task-based learning. Manage learner-centred, multi-level group work. Derive appropriate action points from monitoring and analysis of the interaction. Assessment: Write progress tests. Develop assessment tasks. Run CEFR standardisation sessions. Use video & hw codes to help learners recognise strengths / weaknesses. 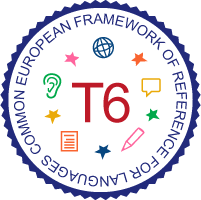 Use CEFR criteria reliably to assess spoken and written proficiency. Teacher Development: Create a series of training modules for less experienced teachers. Run a teacher CPD programme Take part in institutional or (inter) national projects. Observe colleagues and provide effective feedback. Digital Media: Show colleagues how to use new soft/hardware, incl. authoring programs. Design blended learning modules. Use any standard Windows software, including media, video editing. Troubleshoot hardware.